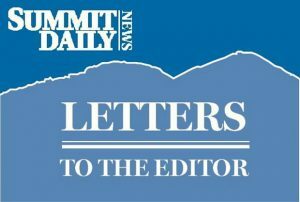 I wholeheartedly support Leigh Girvin’s comments in the March 13 Summit Daily against the proposed Breckenridge Ski Resort Peak 8 summer activity expansion. The proposal has a physical impact on our beautiful above tree-line environment as well and equally disturbing will be the visual pollution these structures/scaring will create. Breckenridge Ski Resort prided itself on the location and design of their above tree-line lifts. And, now they are proposing to deface the same above tree-line environment they so proudly said they would protect if their prior expansions were approved. We need to hold them to their prior promises. It is time for us to record our opposition to these proposed changes. I would like to repeat the information for comments Leigh provided. Email your comment to: sgrail@fs.fed.us and be sure to put “BSR summer use proposal” in the subject line.